Thank you for your interest in Contex Lenses. We are happy to refer a Contex specialist in your area, but first we're going to need some information. Select the type of lens you are interested in and complete the form below. Click on the “Send to Contex” button. We will search our database and return to you an e-mail with a list of the closest doctors in your area. All the doctors listed are trained and certified to prescribe the Contex OK® Lens. 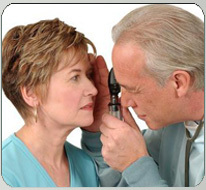 If there is not a doctor in your area, we can train and certify your doctor to fit the OK® Lens. Insist that your doctor uses the patented FDA approved Contex OK® Lens. The Contex doctor referral program is a service only. Contex does not hold any responsibility for individual results nor do they endorse any specific doctor. Each doctors Ortho-K program may vary so some research may be beneficial.